Innovative diagnostic tests: The key to personalized healthcare? Personalized medicine that is tailored to individuals based on their genetic or metabolic profiles rather than disease group, is the next logical step in the evolution of healthcare. Not only does personalizing therapy in this way treat disease more effectively than traditional approaches, it also reduces the likelihood of side effects and wasteful spending. The first step in undergoing this form of medicine is diagnostic testing. 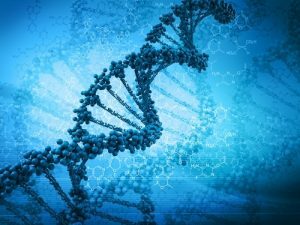 As valuable as innovative diagnostics may be, evidence shows they are not yet widely used in the U.S. A report, from McKinsey & Company, estimated that 60 to 70 percent of physicians’ treatment decisions could be influenced by innovative diagnostic tests that analyze patients’ genetic, proteomic or metabolic profiles. However, at the time of publication only 5 percent of hospital costs and 2 percent of Medicare payments were attributable to these kinds of tests. Still, statistics show that personalized medicine will continue to grow. Between 2001 and 2014, the cost of sequencing a human genome dropped from $300 million to about $1,000, which throws open the door to more innovation. Typically, medicine approaches patients as groups of people who can be categorized and treated based on the type of ailments they have, such as cancer or heart disease. Personalized medicine, in contrast, allows medical providers to tailor diagnosis and treatments based on an analysis of an individual’s genes, proteins or metabolites. This takes into account the possibility that a condition may not progress in the same way in all patients, and that not all patients may process certain drugs in a similar fashion. One area of medical science that is taking advantage of this approach is cancer research. The ongoing I-SPY 2 trial is evaluating different treatments for women who have breast cancer. Before women can enroll as test subjects, the researchers analyze their genes using a test that spots differences in a panel of 70 genes. The researchers then tailor each woman’s drug therapy based on her genetic profile, prescribing only the drugs their cancer is most likely to respond to based on the genetic profiles of their tumors. If you’re facing a serious illness, it’s essential to find an experienced physician who can develop a personalized healthcare approach to your diagnosis and treatment. Personalized healthcare focuses on treating the individual vs. using a one-size-fits all, population-based approach to treatment. It often will entail a more proactive approach to managing your risk for certain diseases and health conditions and include guidance based on the latest research. Another aspect of this individualized approach is enlisting the support of a personal health advisor who can help to synthesize the latest research and evidence. This can lead you to experts who can identify appropriate leading edge testing and treatment options, as well as any relevant clinical trials. An advisor can also help you aggregate a more comprehensive medical profile for you to use as a base for your health strategy. By personalizing your approach to your health, you can ensure that you are taking the needed steps to manage your health risks and improve the outcome of care when you’re diagnosed with a serious illness.